What a day! What a weekend! 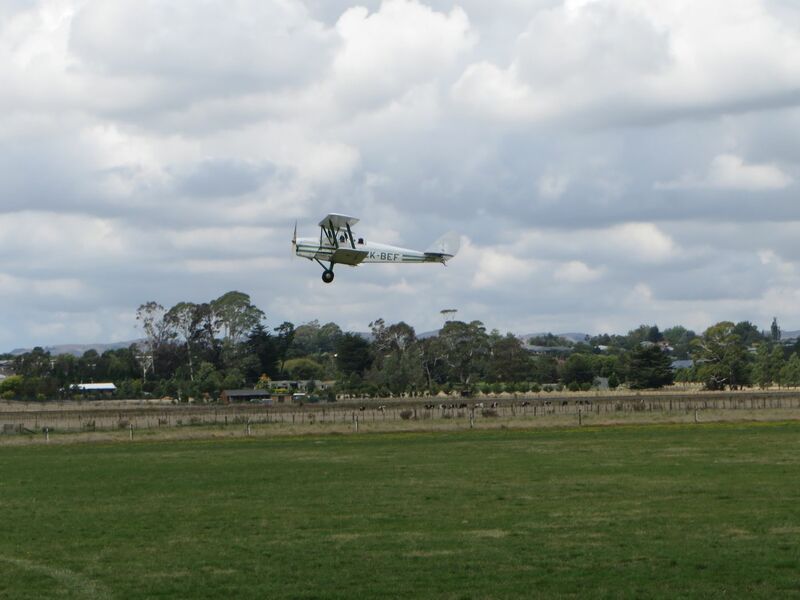 We drove over to Waipukurau airfield today to fly with Ross Macdonald, our very good Tiger Moth instructor, who was going to take us through some advanced upper air work. Could sound a bit ominous – glad I didn’t overdo the excellent Mission wine last night! Driving over we weren’t sure if the cloud base was high enough for some of the flight we were going to do but as the day progressed the cloud started to disappear and it turned into a lovely evening. Noel went first and came back after the flight with a big grin. 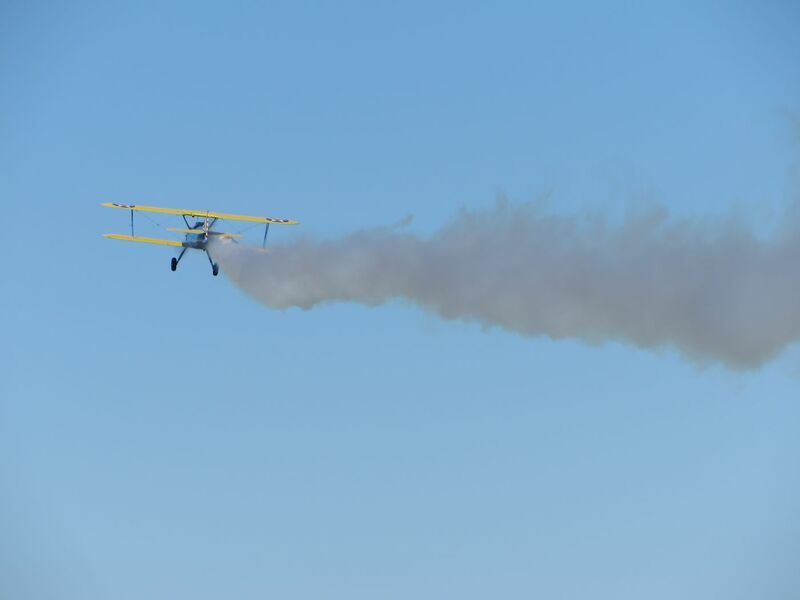 I have proof of his airstart on video – the prop is quite clearly stopped! Here he is taxying in. Then it was my turn. This is me taking off. We had a break and then Noel and I decided we’d go up together so with kind help from other club members we added more oil and fuel and more tightly screwed on a wheel hub(!) and we were off again. Noel was in the back (P1) and I was in the front (passenger). We had a nice tour of the local area before coming back to find the circuit rather busy for once. He landed nicely, only one landing fee and then I went up on my own. The wind had started to get up just a little, providing a bit of crosswind from the right when landing. 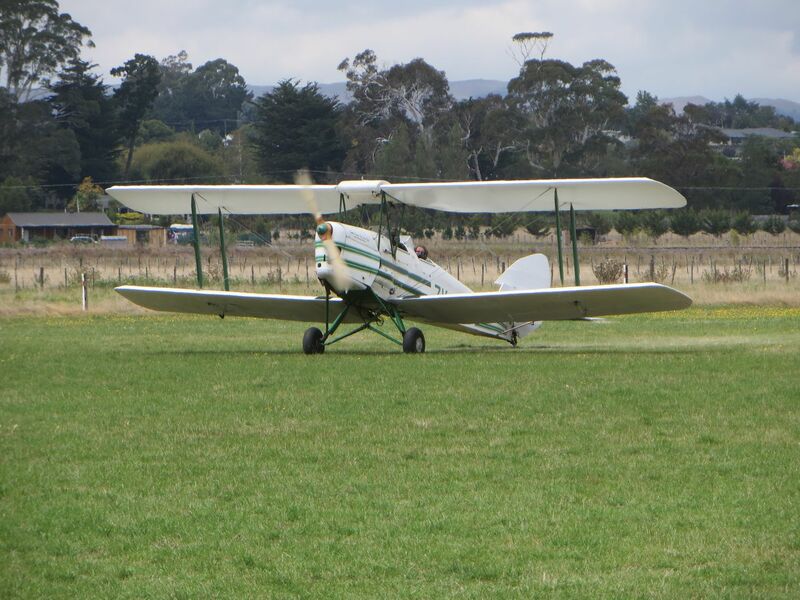 A glider had landed while I was at the threshold and was off the runway to the side – an incentive to keep the Tiger going straight down the runway on takeoff! I followed much the same route as Noel had before and eventually came in to land, but not before having a fun time flying some nice balanced turns without height change – a really great feeling in a Tiger Moth, simple yet rewarding! I had intended it to be a landing rather than touch and go so I landed but it wasn’t the prettiest landing, safe but not pretty. I taxied off the runway and then thought I couldn’t get out of the Tiger having done an unimpressive landing when I’d just got my Tiger rating and should be able to land better. So, I wheeled around and taxied back to the threshold and took off again. Not done that before! So, then, I could just see the accident report – Amy wasn’t impressed with the quality of her landing in the crosswind so decided to go up for another attempt while in the meantime the wind increased… 😉 Luckily although the approach wasn’t perfect (wind changing – my excuse!) the landing was rather better. Not perfect but better – that’s the fun of flying. I guess a bit like playing golf. The next one will always be better, always something to improve. And I passed the 600hr total time mark during my solo Tiger Moth flight too – so a double celebration, great to do that having just been type rated! A bit of a relief to have done a better landing as it turned out there was an audience! 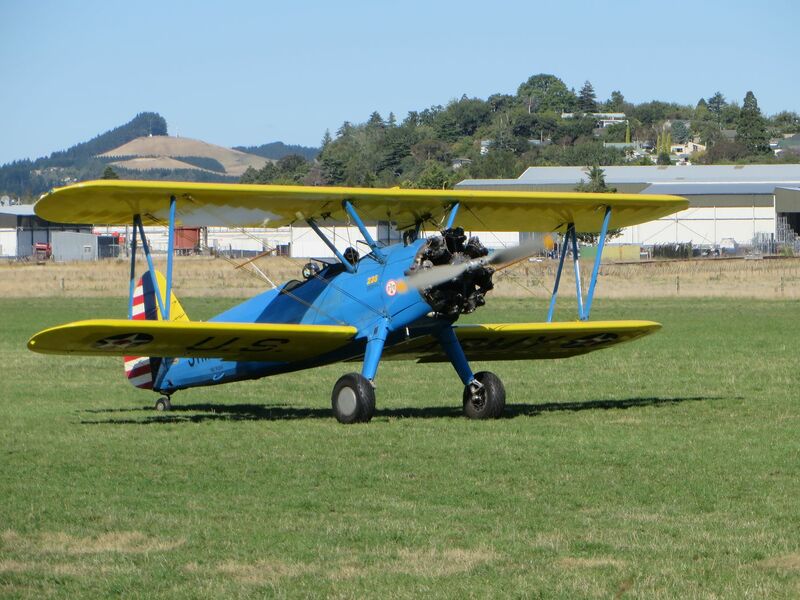 Bruce and Stephanie had turned up in their Stearman from Hastings. 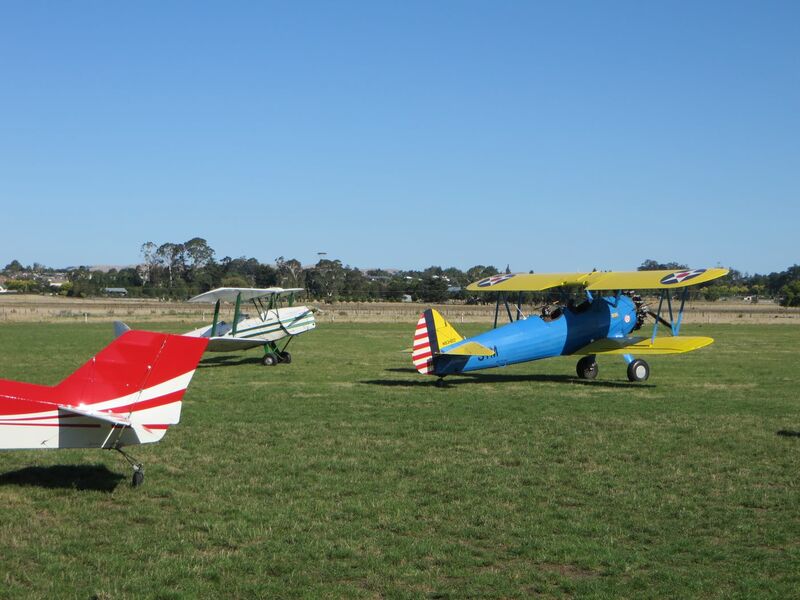 They were hoping to see some of the Tiger Moth Club safari participants on their way south. 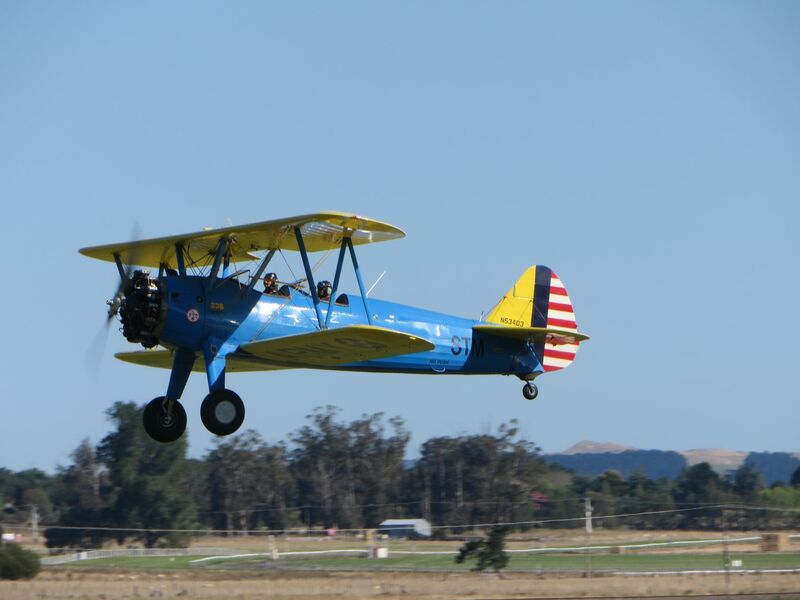 We saw Jan and Jerry Chisum flying south in their Gipsy Moth and Tiger Moth. Bruce and Stephanie taxying out. We had a cup of tea then something stronger and then realised we were going to put the Tiger to bed so instead of taxying it over to the hangar Noel and I pulled the tail (and the rest of it!) all the way over to the hangar. I’d guess there may have been a few comments about silly poms! 🙂 After wiping down the plane we went back to finish our drink and then had to leave. Very pleasant, friendly people at the club.